After removing the famous Flappy Bird game from the iOS App Store, Dong Nguyen promised to return the game back to the store in August. However, the game hasn’t yet made its return but the developer has now teased his upcoming game called ‘Swing Copters’. Nguyen’s new game is going to hit the iOS App Store on August 21. According to TouchArcade, Swing Copters is as difficult as Flappy Bird featuring a similar gameply but new mechanics with the same pixels theme. However, instead of being a side-scrolling game, you’ll have to fly the guy vertically across different platforms while avoiding the swinging hammers. 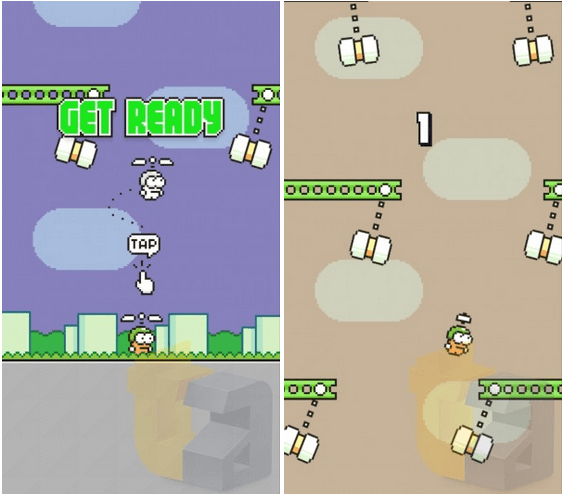 As can be seen from the screenshots, the game appears to much more difficult than Flappy Bird as you have to control the character swinging wildly from one side to another and at the same time make sure not to hit the platforms or any of the swinging hammers. After the removal of Flappy Bird a few months ago, a bunch of clones appeared in the App Store trying to take advantage of Flappy Bird’s gameplay. In a single day in Feburuary, over 95 Flappy Bird clones were released for iOS. 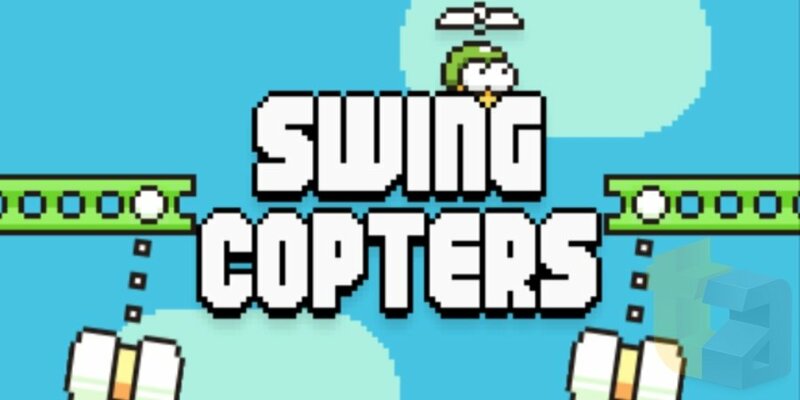 While Flappy Bird hasn’t return to the App Store yet, it might be the case that Dong Nguyen is releasing Swing Copters to take its place. The game is going to be available for free once it’s released in the App Store but will come with a $0.99 in-app purchase that will remove the ads found in the game.